Excellent business economists are in great demand, not only in Europe but all over the world. At EBS Universität you will learn to master intellectual challenges, to survive in a competitive world and to face management responsibilities in an environment of uncertainty and volatility. The business administration degree Bachelor in Business Studies (BSc) is the perfect qualification for a career in industry as well as for business administration master programmes. You will be studying at one of the top business schools worldwide: EBS Universität regularly ranks among the top universities. You benefit twice: If you choose the study programme with the option of a double degree, you will receive the Bachelor of Science from EBS Universität and the degree from the partner university attended in the last three semesters. From the very beginning, you are part of it: In the EBS Onboarding Project you get to know your fellow students, professors and the corporate network of EBS Universität right at the beginning of your studies and get a profound insight into the key disciplines of business administration. The world is changing rapidly, we will be preparing you for this: we equip you with the skills and methodical expertise you require to take on management tasks and social responsibility in a highly dynamic environment. You learn to perform confidently in a digitised environment: programming languages, professional data analysis or information management, we teach you the digital skills you need to exploit the potential of a digitised world and to break new ground. You start your professional career with a knowledge edge: already during your bachelor study programme you are given the opportunity to specialise in a specific field of business administration. Finance, Strategic Marketing & Sales, Entrepreneurship & Start-Up, Strategy & Management Consulting. Your complete study programme is in English: At EBS Universität you study at international level and in an international environment, therefore all lectures and events are, of course, in English. You gain practical knowledge with genuine added value: From the very start of your study programme you will benefit from our network of highly attractive corporate partners. We arrange internships in companies such as Accenture, BCG, BMW, Danone, Deloitte, Deutsche Bank, Ernst & Young, L’Oréal, Morgan Stanley, P&G, PWC and others. You will also receive intensive support at the start of your career from our Career Services Center and will also be in touch with corporate representatives during your studies. You gain international experience at some of the best universities worldwide: at least one semester abroad at one of our 230 partner universities is an integral part of your study programme. You benefit from top learning quality: you will achieve optimum learning success in small groups with explicit practical relevance and numerous case studies. Our unique coaching programme and comprehensive curriculum for individual personality development puts you in good stead for your professional career. As a graduate of EBS Universität you achieve an above-average starting salary: a degree from EBS Universität offers you financial benefit from the very beginning of your career. The average starting salary of our bachelor graduates is 56,000 euros (Employment Report 2016). With our study programme you are in great demand on the job market: 85% of graduates receive their first job offer during their studies or at the latest 3 months after graduation (Employment Report 2016). Brochure "Bachelor in Business Studies"
Selection Process "Bachelor of Science Programmes"
EBS SPIRIT - There is a very special community spirit at EBS. There is commitment and an entrepreneurial spirit which will remain steadfast for generations to come. INTENSIVE TEACHING METHODS - With highly motivated students in small seminar groups, we´re able to maintain high standards and use cutting-edge teaching methods. STUDENT SERVICES - The university supports each of us in getting started and planning our careers. The variety of opportunities really is great. IDEAL LEARNING ENVIROMENT - Small groups, intensive learning, close cooperation with top-quality corporations: EBS inspires with a sense of solidarity and mutual support. INTERNATIONALITY - The professors and students come from all over the world; we spend at least one semester abroad and the Bachelor programme is almost entirely in English. You can´t get more international than that. Study model in which you study five semesters at EBS Universität and one semester at one of our partner universities. You will receive a Bachelor of Science degree from EBS Universität. Study model in which you study the first three semesters at EBS Universität and the last three semesters at one of our international partner universities. You will receive a double degree - the Bachelor of Science degree from EBS Universität as well as the degree from the partner university. 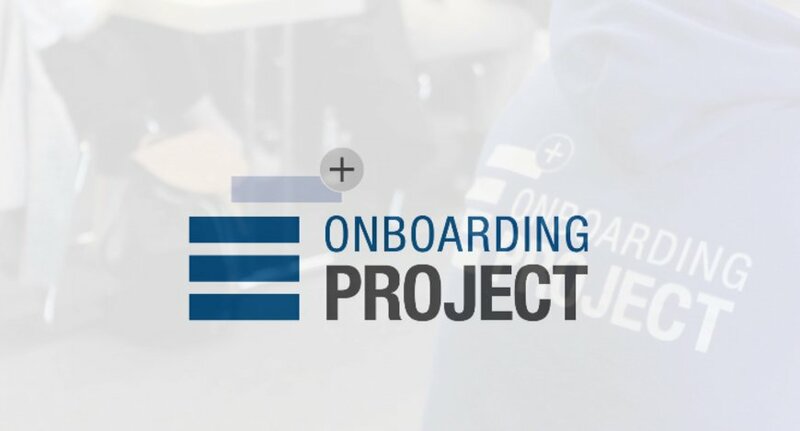 The EBS Onboarding Project is unique in the German university landscape. During the first three weeks of your studies you will work on a large-scale case study and receive a comprehensive introduction to the most important disciplines of business administration. In technical lectures and workshops we will challenge you and together we will explore how we can react to unforeseen circumstances and create opportunities in the unknown, in that we take on uncertainty. Graduates from EBS Universität have to take on management tasks and social responsibility in a highly dynamic environment. Our students learn to pervade complex structures, constantly review specialist knowledge they have gained and, if necessary, to develop this systematically. Digitisation is transforming our lives: socially, economically and politically. Profound knowledge and the confident use of new technologies are also vital for managers, since every area of business administration has its own unique connection to the digital transformation. In the area of finance, for example, it is BitCoins and FinTech, and in the area of marketing it is the emergence of new technologies. We create a connection to these topics in our curriculum and provide you with the necessary digital skills to to take you a major step forward. In just six semesters you are awarded two internationally recognised degrees: both the Bachelor of Science in Business Studies from the EBS Universität and, additionally, the national degree from the partner university. Apart from the dual degree, you also gain access to two distinguished networks, improving your chances on the global job market. In this, each partner university has its own individual character and you learn very intensively to come to terms with and appreciate other teaching and learning cultures. As far as gaining intercultural skills is concerned, this experience is unparalled. A correspondingly intensive language training programme during your time at the EBS Universität will prepare you for your stay abroad and help you to orientate yourself in your new surroundings and connect quickly with your fellow students and the people you encounter there. Of course, contact with your Alma Mater during your stay abroad will be uninterrupted: online courses and regular exchange will ensure that you are in constant contact with EBS Universität. Only excellently trained personalities will survive on the international job market. Strong characters with top social and intercultural skills, who can move confidently in teams and complex networks, are in great demand. Therefore, we foster each individual’s personal development by means of lectures on ethics and philosophy, together with individual coaching and socio-cultural projects. The Institute for Corporate Ethics plays an important role here: we offer you practical ethics training (service learning) that further develops your cognitive, linguistic, social and intercultural skills multidimensionally. Specialist or community-based projects within the framework of the student clubs of EBS Universität provide you with insight into managers’ particular social responsibility. Specialisation - specialised training in the bachelor programme offers students the opportunity to specialise at an early stage according to individual talents and interests. This is beneficial for all those involved: the graduates begin their professional careers with a competitive knowledge edge - and companies are pleased to have excellently trained young talents. Asset management, corporate finance, FinTech - here you will gain specialist knowledge which will open doors to investment banking, mergers & acquisitions or financial services. Bookkeeping, financial economics, controlling - you learn to take a holistic approach when considering, planning and describing structures and processes. Typical fields of work are auditing, treasuring or controlling. Real estate investment, finance, development - the ability to evaluate real estate and assess investment decisions correctly, experienced specialists are in great demand in the real estate sector. From analyst through property manager to asset manager - career opportunities are diverse; the job is demanding. Pricing, brand communications, strategic marketing - young talents with this specialisation are at a premium, both cross-sector and internationally. In addition, you benefit from the fact that you are deployable from product management through market research right up to sales in many relevant corporate divisions. Graduates can look forward to a broad career spectrum with excellent development potential. Foundation of management consultancies, legal and economic strategy foundations - ideal for students who wish to focus their attention on strategic development and corporate management in their career. Careers in this sector are characterised by a high degree of responsibility. This includes direct strategic influence on corporate developments or, with increasing experience, management of internationally-oriented companies. Technology entrepreneurship, entrepreneurial finance & governance, innovation management - the trend towards entrepreneurship continues, society needs more and more innovation. Entrepreneurs can localise opportunities and potential and to transform these into profitable enterprises. As an entrepreneur you will belong to a young, dynamic scene which is characterised by flat hierarchies, work autonomy and a great deal of individual responsibility. Studying at EBS Universität makes considerable demands on your mathematical and linguistic knowledge, your logical-analytical intellectual capacity, your willingness to learn, motivation as well as your personality. Whether you are admitted as a student at EBS Universität depends on a successful selection process. If all requirements are fulfilled after a detailed examination, you will receive an invitation to our selection day at EBS Universität. The written selection process takes approximately 90 minutes and is primarily devoted to the cognitive skills you require for a successful university study course. Here, your logical, analytical and mathematical skills will be tested. If no other proof of English proficiency has been furnished in advance you will also taking part in the EBS English test. The oral part of our selection process is an individual 60-minute interview consisting of an interview, a presentation and a text. Specially trained interviewers, with an economics background, examine the measure of motivation and social competence of each applicant.